Written in PHP and based on concepts of Ruby on Rails, CakePHP is an open source web application framework designed for the development of websites and web applications. Currently, it is one of the rapidly developing frameworks for PHP, which provides expandable model for developing, maintaining and deploying applications. CakePHP development uses commonly used design patterns like MVC (Model View Controller) and ORM (Object Relational Mapping). It is also integrated with complete set of configurable and flexible tools. CakePHP proves to be a cost effective solution and helps developers to write less code, which eventually results into speedy development. It is compatible with various version of PHP including PHP4 and PHP5. At Webstralia, we even offer our developers for hire at affordable rates. 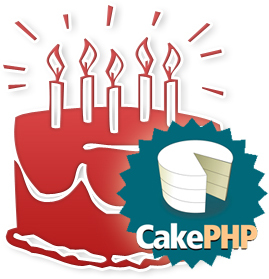 Therefore, hire our CakePHP developers for quick, secure, and first-class web application solutions. Contact us with your requirement and know how we can help deliver an excellent solution via CakePHP development.